Regency Furniture Stadium is the Home of the Southern Maryland Blue Crabs. 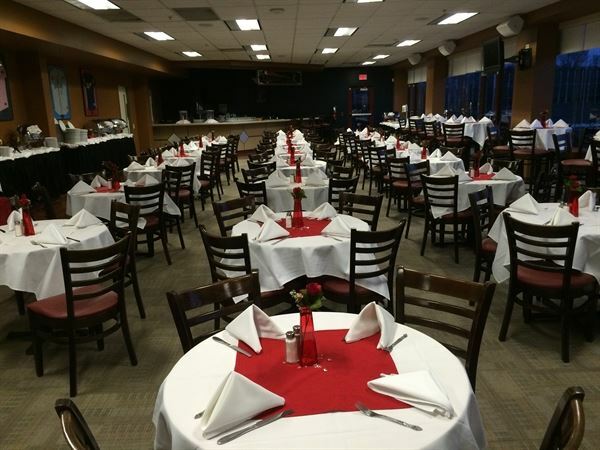 This Venue offers a stand alone banquet room called the "Legends Club" . This room is ideal to host wedding receptions, company parties, birthday parties, and meetings. In the off season, our legends Club and Picnic area are available for rent. During Baseball stadium they both come to life and provide you with family friendly entertainment options that let you know Spring and Summer have finally arrived. What better way to celebrate you recent promotion, a loved ones birthday, or a family or company outing than a great night at the ballpark . Triple Play Menu $26.50 per person Gold Glove Menu: $31 Hall of Fame Menu: $35 See attachment for details. Zigbone Farm Retreat was designed to inspire great meetings. The lodge is spacious as well as cozy and has several porches and patios with stunning views of the valley. It is a great place for strategic planning, brainstorming, budgeting, or escaping the office. The event hall seats up to 100 people. ZigBone also functions as a wedding venue for up to 140 guests, including accommodation for up to 25 people, event hall plus tent, tables, chairs and the help of a site coordinator.